Since a chance meeting with Dr. Elizabeth Kubler-Ross, the author of “On Death and Dying,” I’ve been studying and working with thanatological (end of life) and related issues. This, for me, involves writing books (more than two dozen) and offering presentations (many hundreds, over the years). 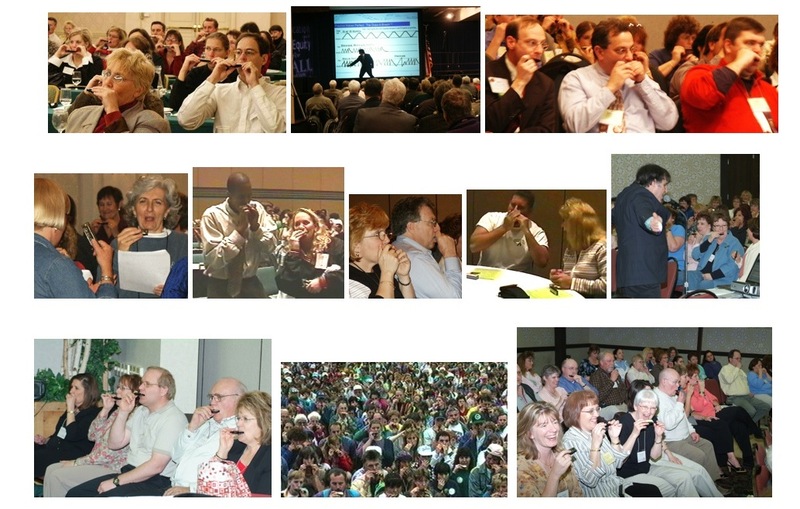 Since in addition to my background in psychology I happen to be the world’s fastest harmonica teacher (I’ve taught hundreds of thousands of people to blow their blues away), I combine psychology, thanatology, humor, and harmonica in my work! I believe that getting a group of people (I’ve done groups of up to 4,000 participants at a time) to breathe with intention synchrony is a great way to create bonding and a feeling of shared empathy. And there is no easier or more satisfying way to do this than by teaching said groups to play harmonica — blues, rock, folk, or classical — together!